Trevor has been sculpting full time since 2003. 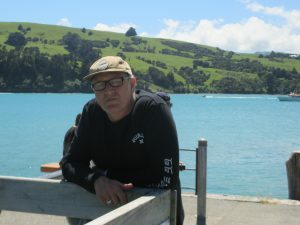 He is of New Zealand Māori and European descent and is strongly influenced by his dual heritage and the impact of both cultures in contemporary New Zealand. 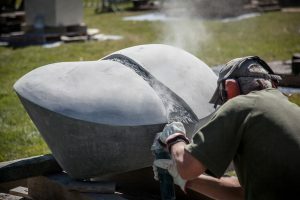 Participating in country wide symposia, and previously organising the Rotorua event, he won the 2016 Rotorua Sculpture Symposium with his piece Synergy. 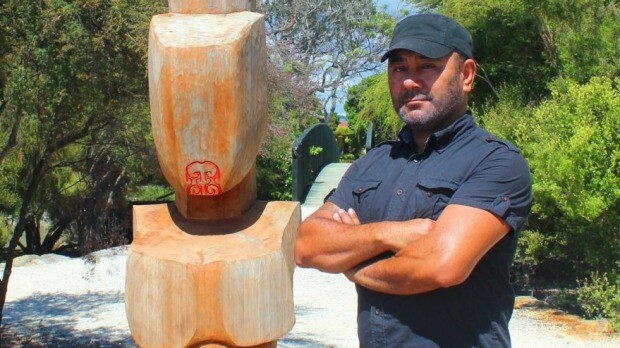 Trevor has exhibited throughout the North Island, has permanent sculptures around central Rotorua and completed a solo exhibition called Two Views at the Elim Gallery in 2012. In December 2013, he opened Trevor Nathan Sculpture Gardens and Gallery which is now his main focus. 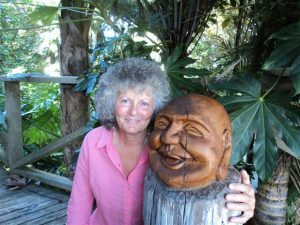 Thirty years of farming in North Hokianga has given Trisha the practical skills needed for sculpture. Now that her three sons are grown and the farm sold she has the time to devote to her art. Trisha enjoys working in many mediums from hard and soft stones to wood, Darjit and ferro cement. After two years of study with the Learning Connexion she has successfully taken part in sculpture symposia in Whangarei, Matamata and Auckland. She enjoys being versatile and doing a variety of work. Trisha believes art has to improve your day either through its boldness of its form or the inspiration of its subject. Oriah Rapley is a full time practising artist based in Taranaki. Oriah has pieces in national and International collections and her work has been in selected exhibitions including Homework exhibition at Puke Ariki, NZ Sculpture Onshore and Sculpture on the Peninsula. She has attended many symposia around New Zealand including Te Kupenga International Symposium. Oriah’s work is in constant refinement towards the purity of form, and acknowledges freedom of choice and embodiment. Using symbols such as the feather, waka and bird to provide subtle layers interwoven around movement, growth, exploration, expansion, freedom, expression, empowerment and transformation. Anna Korver is an established New Zealand artist based in Taranaki. She finished her BFA in sculpture from the University of Canterbury in 2003 and has been working and exhibiting nationally and internationally ever since. Anna was a finalist in the Wallace Awards twice and has attended over 50 national and international symposia. 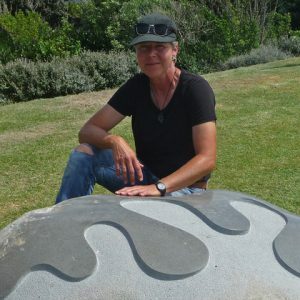 Previously the co-owner of The Korver Molloy Gallery and Sculpture Park for 4 years, Anna has been a trustee on the board of Eco Artists New Zealand for 10 years and an executive member of Te Kupenga Stone Sculpture Society and selector for the 2018 International Symposium. 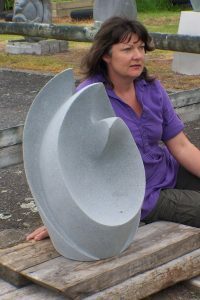 Jocelyn Pratt is an established New Zealand sculptor presenting modernist, interpretive works representative of natural forms. Jocelyn favours working with local resources, exploring and enhancing the natural qualities of stone with polish and texture techniques. Jocelyn’s works are tactile and suggestive of a restful gentle form, a juxtaposition of the natural solidity and strength of the stone and concept. Many of Jocelyn’s works are evocative of her surrounding environment, nature, culture, and socio-political effects on the environment and people. Having participated in over 80 symposia and numerous exhibitions, Jocelyn’s sculptures are in both public and private collections nationally and internationally. With no previous formal art training, Claire began learning stone carving with andesite boulders at Te Kupenga Stone Sculpture Society in New Plymouth nearly ten years ago. Her approach is to explore the individual piece of raw natural material, to respect and feature its natural characteristics and proportions, rather than seeing it purely as a medium for her own ideas. Claire has evolved two distinct styles – either heavily geometric or curvaceous. By attending over a dozen symposia around the country and exhibiting in sculpture parks and exhibitions, such as NZ Sculpture Onshore and Shapeshifter at The Dowse, Claire is gaining a widening experience and reputation. Christchurch-born Bodhi has been a professional artist for as long as he can remember. He attended design school in Wellington at the start of his career and elements of design do come into his work, however Bodhi’s style echoes more a classical training in the Fine Arts. 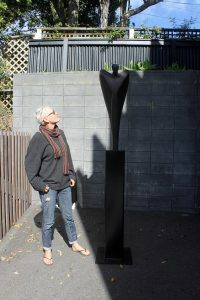 Bodhi has exhibited both overseas and throughout New Zealand, and has attended up to six sculpture events per year for the past two decades. Having lived in Raumati South for over twenty years, he has a significant relationship with nature, and his work has an organic quality often involving sinuous lines and curvaceous forms. Born and bred in Turangi, all Natanahira wanted to do when he was young was join the armoured division in Waiouru. The idea of being a tank driver was a passion for him, but instead took up the second, safer option of art. 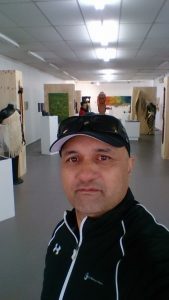 Natanahira attended the New Zealand Māori Arts & Crafts Institute in Rotorua where his career as an artist blossomed and he has now been sculpting for over thirty years. He has taken part in numerous sculpture symposia in the Bay of Plenty and Waikato, including the 2014 Rotorua Sculpture Symposium, and also travelled to Nepal in 2016 to represent Aotearoa. 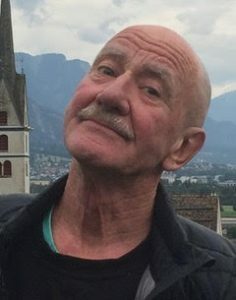 Steve Molloy is a multi-award winning New Zealand artist and photographer, and is the owner and director of the Molloy Gallery in New Plymouth. 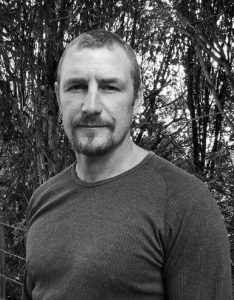 He works predominantly in object and installation sculpture, photography and painting, exhibiting in galleries as well as attending symposia nationally and internationally. Steve’s photography has been shown in magazines, newspapers, commercial businesses and galleries throughout the world and his sculptures are in public places in New Zealand and overseas. His work is uniquely defined by the process of incorporating fragmentation, movement, miniaturisation, space and illusion as a tool to view normal scenes and objects in an abstract way. Having completed a two year Craft Design Māori Certificate at Waiariki Polytechnic (now Toi Ohomai) in Rotorua, Jamie gained design and practical skills which have held him in good stead over the years. He then went traveling for a few years before completing a Fine Arts Degree in Whanganui, majoring in sculpture, and at the same time setting up his business, Jamie Pickernell Art Furniture. Moving back to Rotorua twenty years ago, he set up his home and workshop, and makes his living through outdoor sculpture exhibitions and commissions for sculpture, furniture and architectural hardware. Simone is a Swiss sculptor who has been living and creating in New Zealand since 2009. She first came in contact with hard stone at the ‘Scuola di Scultura di Peccia’ (Peccia Sculpture School) in Switzerland in 2002. Simone chooses to create in an abstract and minimalist style allowing the viewer to connect with her forms in their own way. 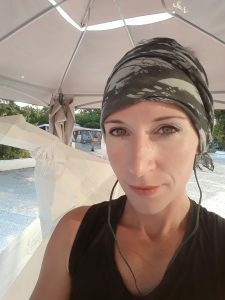 Her art is a reflection of her passion for nature and she aims to create sculptures which will stir the viewer’s soul, and entice them to touch. Simone has exhibited her work in New Zealand and Switzerland and has participated in several symposia throughout New Zealand. Rory was raised in the Highlands of Scotland, in an area full of Pictish-Celtic stonework and archaeology. His schoolbook doodles attracted the attentions of his art teacher and he was introduced to the book “Celtic Art – Methods of Construction” by George Bain. Coincidentally Mr Bain had taught at his school fifty years previously and was a revivalist and promoter of the Celtic Arts. 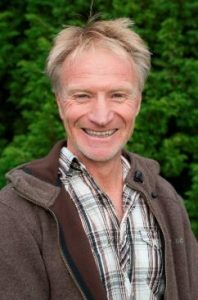 Rory studied metal craft and stone masonry in Germany prior to settling in New Zealand and now lives in Hokitika on the West Coast. His fascination with Celtic art and its iconography continues to influence his work and has exhibited extensively with several public art objects on display around New Zealand. ex was born and raised in Mt Maunganui; the second of three sons. Following a childhood love of carving and clay work, he later began bone carving. In 2000 he returned to sculpture, working predominantly in stone, exploring bold flowing forms with an emphasis on shadow and balance. In 2010 he graduated with a Diploma in Art from the Bay Of Plenty Polytechnic and while studying he attended the Whakatane Sculpture Symposium. This led to work exploring human form and nature, studying the people of New Zealand who arrived, stayed and left. The latest of his work is a journey into new mediums and practices and enjoying the challenges and achievements it brings. 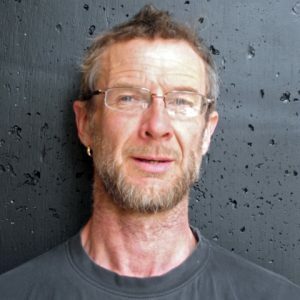 Andrew studied at Ilam School of Fine Arts in Canterbury and has been sculpting in wood and stone for more than 30 years. Balancing full time work and his passion for expression has allowed him to look openly at all forms. His love of nature and all things universal offers no limits on what will be unveiled for his next masterpiece. Andrew has thoroughly enjoyed being part of symposia across New Zealand including Golden Bay, Nelson and Tauranga. Exhibited widely, Andrew has been well received by the art fraternity including being awarded Sculptor of the Year by Trends Magazine. Te Arawa carver, Peter Akurangi, works in a variety of wood, stone and bone to produce intricate and detailed carvings. 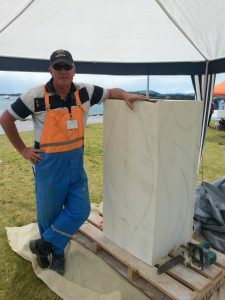 Peter started his carving passion over 20 years ago while attending a carving course in Wellington. Peter’s mastery and passion for his art continues to grow. Many of his designs evolve from a traditional foundation, incorporating historical designs pertaining to the area. Native wood or Oamaru stone are his preferred materials. Susan Dinkelacker is a wood carver from a family of woodworkers who developed her carving style and skills between helicopter flights. 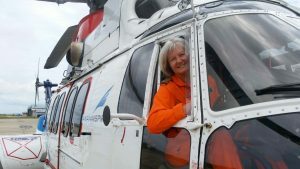 Her “day job” for the last few decades has been as a career helicopter pilot, racking up over 10,000 flying hours all over the world. Specialising in 3D sculptures, usually in wood, Susan strives to reveal the intriguing inner character ofwhatever she carves – be they birds, creatures or the human form – they are designed to delight. Susan’s sculptures are displayed at Helena Bay Gallery and at the Quarry Arts Centre in Whangarei, as well as in private collections in New Zealand, the Netherlands, Malaysia, UK, Germany, Korea and the USA. Susan exhibited in the Quarry Arts Outdoor Sculpture Exhibition 2018, and recently took part in the Whangarei Sculpture Symposium 2018 and the Kawerau Woodbugs Sculpture Symposium 2018.